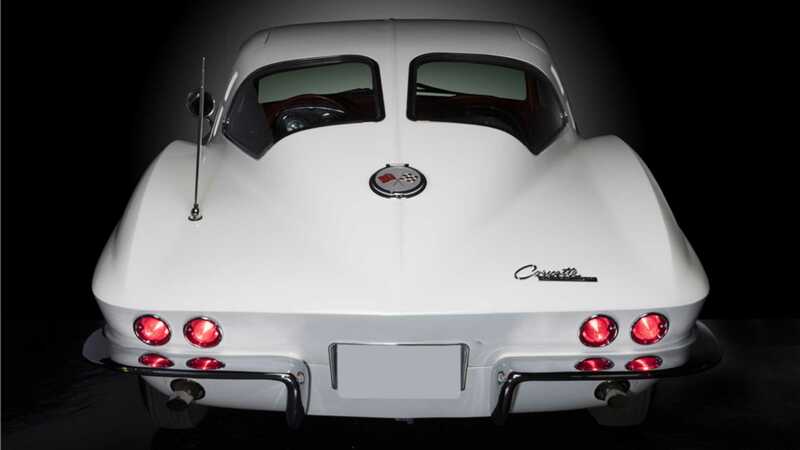 Sold with the ski rack and all, this unique Split-Window was recently sold at auction. 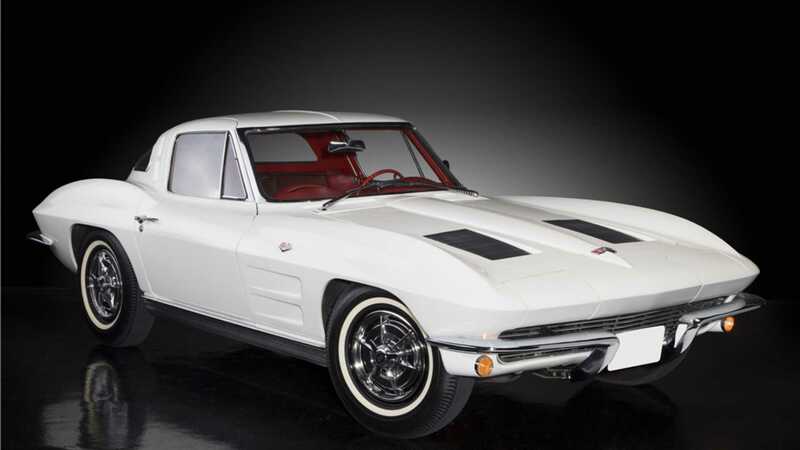 This mid-year 1963, Split-Window Corvette is one of the most sought after cars, regularly raking in huge amounts of money when they sell, and this one has a twist. Of the just over 10,000 C2 coupes ever made, Hertz took a handful of them to rent out. Thanks to the Hertz Rental Car Company at Luby Chevrolet, this C2 was in service as a ski car until its retirement, and most recent sale at Barrett-Jackson. The group of cars used in this particular program where white and red, all with 327ci engines and two-speed automatic transmissions. Hertz then took the American sports cars and made them ready for ski tourists in Denver, Colorado to rent by swapping the factory tires out for snow tires, and giving them huge ski racks that latched to the luggage rack, and draped over the iconic split windows. 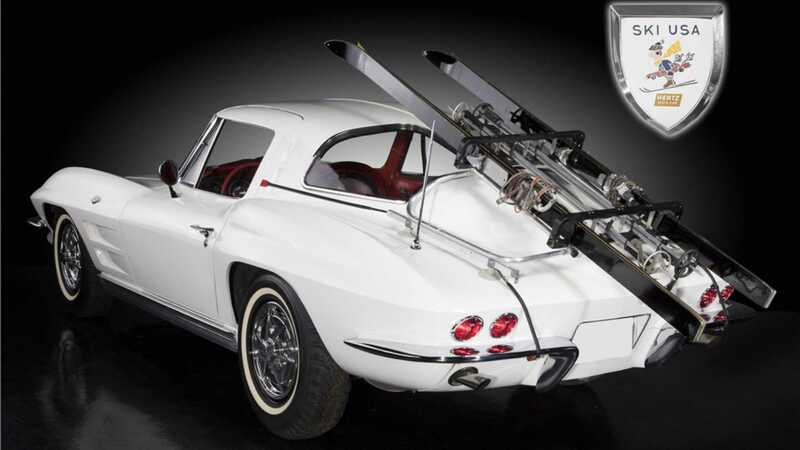 A lack of history as to what happened to the line of C2 ski-ready rentals, and low production volume, gives them a level of intrigue, even if hauling ski equipment up to snow capped mountains with a Corvette seems like one of the most impractical things you can do. This example, possibly the only one left in existence, has been repainted, but otherwise left unrestored. 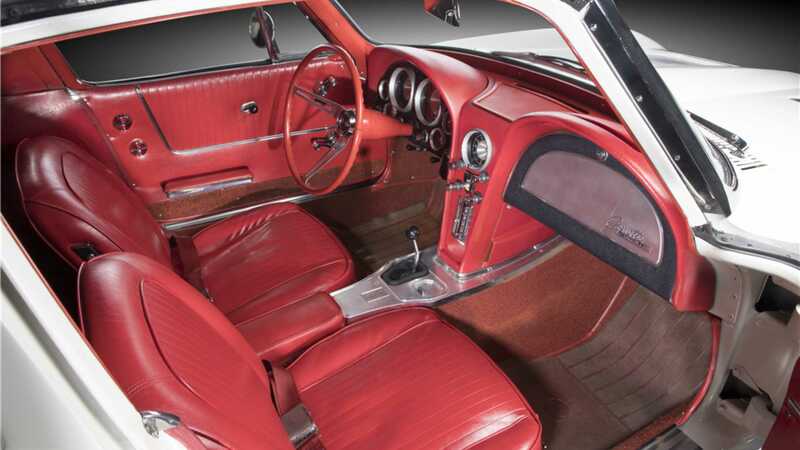 Although not professionally prospected, the interior and engine bay look exceptionally clean. 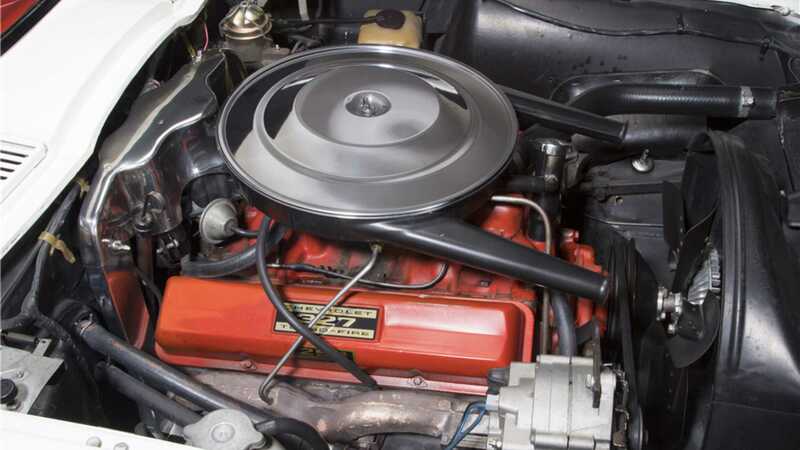 It still has its original base option engine and transmission and, while not the most potent engine option for the year or terribly torquey, a numbers matching car will always chum the waters for collectors. It was also sold off with the original license plate from the rental company, spare tires, snow tires, and Hertz badge on the dash. While $132,000 is not the most one of these examples has ever gone for, it’s a respectable value - you have to wonder if the rental accessory helped the price, or hurt it.